The College of Nursing (https://www.nursing.psu.edu/) announces an open-rank tenure-line faculty position to start in July 2020 that focuses on mental health nursing as it relates to research targeting, understanding, and responding to the needs of communities related to the impact of addiction and substance abuse. Preference will be given to a senior candidate who is at the Associate or Full Professor level. The successful applicant will be a leader in a program of research with demonstrated impact on policy and/or practice, a strong publication record, and a track record of securing external funding. Responsibilities include directing a research program focusing on mental health nursing with a specific linkage to substance abuse, teaching both undergraduate and graduate level courses, and directing dissertations. The successful candidate also will mentor junior faculty with similar or complementary research foci. In addition to accelerating strong collaborative interdisciplinary research, the new faculty member will engage in outreach activities that disseminate research on mental health and substance abuse to a range of stakeholders, including policymakers, nurses, and other practitioners such as at national, regional, and local conferences and meetings. We seek a colleague who will pursue a program of externally funded research that is published in highly-regarded, peer-reviewed journals within the fields of mental health and substance abuse, nursing, and health services research. This position is part of a major strategic hire at Penn State to build scientific leadership and increase Penn State’s capacity for high impact, interdisciplinary, translational, and community-engaged collaborations to combat substance abuse and addiction. The College of Nursing seeks a faculty member who is interested in and committed to participating in an interdisciplinary community of scholars at Penn State contributing to the mission of the University’s recently launched Consortium to Combat Substance Abuse (CCSA; https://CombatSubstanceAbuse.ssri.psu.edu. This position will be co-funded by Penn State’s Social Science Research Institute (SSRI; http://www.ssri.psu.edu/). Penn State is committed to building its research, education, and outreach capacity to address the complex problem of substance abuse and will hire up to twelve new faculty members over the next four years. These strategic hires will build on our faculty’s long tradition of excellence in interdisciplinary and translational research on substance abuse and addiction, including in the University’s academic departments as well as centers of research excellence such as the Penn State Addiction Center for Translation (PS ACT); Administrative Data Accelerator, http://www.accelerator.psu.edu; Child Study Center, csc.psych.psu.edu; Criminal Justice Research Center, http://justicecenter.psu.edu/; Edna Bennett Pierce Prevention Research Center, http://www.prevention.psu.edu; Methodology Center https://methodology.psu.edu/; Population Research Institute, www.pop.psu.edu; Center for Educational Disparities Research http://www.ssri.psu.edu/center-educational-disparities-research; Child Maltreatment Solutions Network http://solutionsnetwork.psu.edu; and Social, Life and Engineering Sciences Imaging Center, https://www.imaging.psu.edu. CCSA faculty will also have access to research infrastructure in Penn State’s cross-university research Institutes, including the SSRI, Penn State Clinical and Translational Science Institute, http://ctsi.psu.edu/; Huck Institutes of Life Sciences https://www.huck.psu.edu/; Institute for CyberScience, https://ics.psu.edu; Penn State Cancer Institute https://cancer.psu.edu/; and Penn State Neuroscience Institute https://hmc.pennstatehealth.org/neuroscience-institute. The College of Nursing is one of the most comprehensive colleges of nursing in any public university in the country. With over $12 million in research expenditures since the college’s inception in 2013, the College has been awarded over $8 million for gerontology research, over $4 million for the development of a sexual assault forensic examination telehealth center (SAFE-T Center), and approximately $1.5 million to support clinical and translational science. With over 2,100 undergraduate students and approximately 200 graduate students, our footprint is world-wide with our faculty creating immeasurable experiences for our students around the globe. We offer four undergraduate degree programs as well as six advanced degree programs. 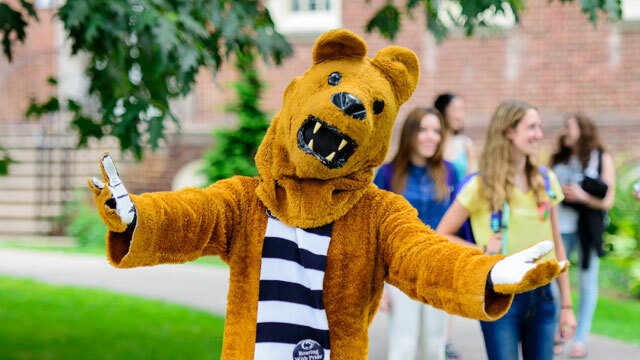 The Pennsylvania State University is one of the largest public research and land grant universities in the country, serving over 83,000 students at 24 campuses across the Commonwealth of Pennsylvania. The College of Nursing resides primarily at the University Park Campus where approximately 42,000 students are enrolled. The University Park campus is set in the State College metropolitan area, a university town located in central Pennsylvania. State College offers a vibrant community with outstanding recreational facilities, a low crime rate, and excellent public schools. The campus is within a half-day`s drive to Washington D.C., Baltimore, Philadelphia, New York City, or Pittsburgh. The University Park Airport is served by three major carriers with flights to Washington D.C., Philadelphia, Chicago and Detroit. Salaries are competitive, commensurate with background and experience. An attractive benefits package is available as are startup funds to support the applicant’s research program. To apply, applicants must complete an online application https://psu.jobs and provide materials as requested below. Successful applicants must have an earned research doctorate in nursing or a closely related field and a documented commitment to teaching and service. Nursing faculty candidates must hold a valid United States nursing license. All applications must be submitted electronically and include a letter of interest, current CV, and the contact information for at least three professional references. Only complete applications will be considered. Penn State is committed to fostering diversity. More information can be found at www.equity.psu.edu. Questions can be directed to: Marie Boltz, PhD, GNP-BC, FGSA, FAAN, Search Chair, mpb40@psu.edu. Review of applications and nominations will begin immediately and will continue to be accepted until the positions are filled. Expected start date is July 2020. Successful applicants will have an opportunity to play a leadership role in the CCSA. The College of Nursing is seeking candidates for the position of Associate Dean for Graduate Education. This is an academic administrator position requiring a faculty rank of Associate Professor/Professor. The College of Nursing is one of the most comprehensive colleges of nursing in any public university in the country. With over $12 million in research expenditures since the college’s inception in 2013, the College has been awarded over $8 million for gerontology research, over $4 million for the development of a sexual assault forensic examination telehealth center (SAFE-T Center), and approximately $1.5 million to support clinical and translational science. Current College initiatives include the Community Health Needs Assessment Alignment, The Center of Geriatric Nursing Excellence, Nursing Research Network, Rural Care Delivery, Programs for Person-Centered Living Systems of Care, FaceAge, Two-Step Delirium Identification Tool, SAFE-T Center, and the Penn State Employee Health and Wellness Center to name a few. With over 2,100 undergraduate students and approximately 200 graduate students, our footprint is worldwide with our faculty creating immeasurable experiences for our students around the globe. We offer four undergraduate degree programs as well as six advanced degree programs. The Pennsylvania State University is one of the largest public research and land grant universities in the country, serving over 83,000 students at 24 campuses across the Commonwealth of Pennsylvania. The College of Nursing resides primarily at the University Park Campus where approximately 42,000 students are enrolled. The University Park campus is set in the State College metropolitan area, a university town located in central Pennsylvania. State College offers a vibrant community with outstanding recreational facilities, a low crime rate, and excellent public schools. The campus is within a half-day`s drive to Washington D.C., Baltimore, Philadelphia, New York City, or Pittsburgh. The University Park Airport is served by three major carriers with flights to Washington D.C., Philadelphia, Chicago and Detroit. The Associate Dean for Graduate Education provides visionary and innovative leadership and administration for the College’s graduate programs and coordinates and collaborates with our faculty. Reporting to the Dean of the College, the Associate Dean is a senior member of the administrative team of the College which functions in a collaborative and integrative manner across the teaching, research, and outreach functions of the College. Specific duties include, but are not limited to, promoting and strengthening our graduate education by maintaining close ties to our faculty as well as representing the College to the Graduate School, coordinate periodic reviews of our graduate programs, and oversee the development and reform of graduate curriculum, serve on the University Advisory Committee on Graduate Education, foster and support graduate education and research, coordinate faculty and graduate student recognition programs, and coordinate global initiatives in the areas of research and graduate education. The ideal candidate will have; experience teaching Masters and Doctoral level courses in resident and online platforms; experience in academic administration; significant scholarly accomplishments; and demonstrated record of national and international service. Candidates should have an active research portfolio with the potential for attracting extramural research and program funding. The College of Nursing provides a supportive environment for research and strives to expand our interdisciplinary collaboration with other Penn State units including the Clinical and Translational Science Institute, College of Medicine, College of Health and Human Development, and several academic centers. Penn State is home to the Center of Geriatric Nursing Excellence and the Child Maltreatment Solutions Network. A Master’s degree in nursing and a Doctorate degree in nursing or equivalent in a related field of study is required. Demonstrated achievement of teaching, scholarship, and service commensurate with a tenure-eligible appointment is necessary. Nursing faculty candidates must hold a valid United States nursing license. This position calls for a knowledge of current trends in research and graduate education. The successful candidate should have demonstrated ability in providing leadership to faculty and in working with all levels of University administration. High energy, excellent communication skills, a team spirit, the ability to get things done, and a strong commitment to diversity and inclusion are essential to position requirements. Applicants should send a letter of application, a complete curriculum vitae, and the names and contact information of at least three professional references. All application materials must be submitted electronically. Only complete applications will be considered. The position is available on or before July 1, 2019. Review of applications will begin on April 1, 2019 and will continue until the position is filled. Questions can be directed to: Susan Loeb, PhD, RN, FGSA, FAAN, Search Chair, SVL100@psu.edu. Penn State is committed to affirmative action, equal opportunity and the diversity of its workforce. The College of Nursing at The Pennsylvania State University seeks doctoral prepared Nurse Practitioner candidates for a faculty appointment to direct the College of Nursing’s Doctor of Nursing Practice (DNP) program. The position is located at the University Park (State College, PA) or the Hershey Medical Center (Hershey, PA) campus. The DNP program is offered in a distance learning format with the Penn State World Campus. Responsibilities will include program, curriculum, and course innovations and revisions, teaching courses and practicum/clinical sections, serving on committees, and advising students. Program management responsibilities also include strategic planning, leading marketing and student recruitment efforts, program admissions processes, practicum placements, program evaluation, new DNP faculty orientation, and sustaining working relationships with the larger University and program stakeholders. Successful candidates will have a doctoral degree in nursing; be a nationally certified Family or Adult Gerontology Nurse Practitioner; hold an RN and CRNP license in PA (or eligible for PA licenses prior to start of appointment date) and possess expert communication and collaboration skills. Online teaching experience and program administrative experience is preferred. This is a full-time, 40-week, fixed-term or multi-year appointment with full benefits and high likelihood of renewal. The College of Nursing at Penn State offers programs of study in nursing for Ph.D., D.N.P., M.S., M.S.N., and B.S.N. For more information about the College of Nursing and all of their nursing programs, go to https://www.nursing.psu.edu/. We seek a colleague who is interested in contributing to the diversity mission of the College and the University (www.equity.psu.edu). To be considered, candidates must complete an on-line application and submit a cover letter describing interest in and qualification for the position; a curriculum vita; and the name, address, e-mail address and telephone number of three professional references. No references will be contacted until the candidate is consulted. Review of applications will begin immediately and continue until the position is filled. For more information or questions about this position, please contact Dr. Kelly A. Wolgast, DNP, RN, FACHE, FAAN, Assistant Dean for Online Education and Outreach by either email: kaw466@psu.edu; or mail to her attention at: Penn State College of Nursing, 203 Nursing Sciences Building, University Park, PA 16802; or, call 814-867-5998. Please indicate “DNP Director” in subject line of any email correspondence. Faculty Announcement: The Pennsylvania State University College of Nursing invites applications for tenure-line faculty positions. Candidates should have an active research portfolio with potential for attracting extramural funding that will contribute to the advancement of science and knowledge translation across the lifespan and health/wellness continuum. Areas of research interest include, but are not limited to: child maltreatment, adolescent sexual health, and mental health including substance misuse. The College of Nursing provides a supportive environment for research and strives to expand our interdisciplinary collaboration with other Penn State units including the Clinical and Translational Science Institute, College of Medicine, College of Health and Human Development, and several academic centers. Penn State is home to the Center of Geriatric Nursing Excellence and the Child Maltreatment Solutions Network. Successful applicants must have a research doctorate degree and a documented commitment to teaching and service. Nursing faculty candidates must hold a valid United States nursing license. All applications must be submitted electronically and include a letter of interest, current CV, and the contact information for at least three professional references. Only complete applications will be considered. Penn State is committed to fostering diversity. More information can be found at www.equity.psu.edu Questions can be directed to: Lisa Kitko, RN, PhD, FAHA, FAAN, Search Chair, lkitko@psu.edu. Learn about the work being done by our research faculty as part of the Center for Nursing Research.